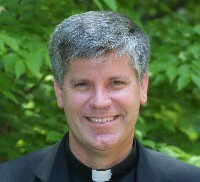 Carolina Catholic is proud to present an interview with Father Ned Shlesinger, vocation director for the Diocese of Raleigh. In this show, we get to know Father Ned, and learn what our 19 seminarians are doing this year, and what the process of discerning a vocation is all about. This is the outline of the show.